A will is not a good place to express your death and burial preferences for one simple reason: Your will might not be located and read until several weeks after you die -- long after decisions must be made. 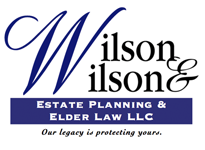 A will should be reserved for directions on how to divide and distribute your property and, if applicable, who should get care and custody of your children if you die while they're still young. Get It Together: Organize Your Records So Your Family Won’t Have To , by Melanie Cullen with Shae Irving, J.D., is a workbook with CD-ROM that provides a complete system for documenting information for your executor and family members, including your wishes for final arrangements. Disputes may arise if two or more people -- the deceased person's children, for example -- share responsibility for a fundamental decision, such as whether the body of a parent should be buried or cremated. But such disputes can be avoided if you are willing to do some planning and to put your wishes in writing. In an increasing number of states, if you make a health care power of attorney, you can give the person you name to make health care decisions for you (your "agent") the power to make decisions about your remains. But, even if you do this, you may want to leave written instructions about your wishes. Your health care agent will be legally required to follow your directions, though he or she is not required to pay for the arrangements -- the money will come from your assets or family members who are legally required to pay.